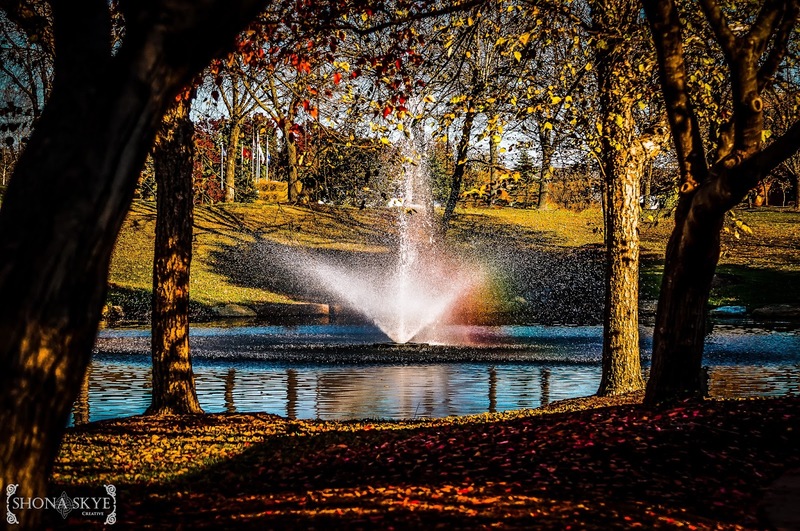 At our last shoot, while we waited for the family to arrive, we had a chance to walk through the grounds and happened upon this lovely little fountain that was catching just enough sunlight to cast a bit of a rainbow. Right there, in my mind’s eye, it looked like a painting. Soon, the fountains will be shut down for the winter and the trees will be completely bare. But, until then, I’m catching all the color of Fall that I can! This entry was posted in Landscapes, Water. Bookmark the permalink.